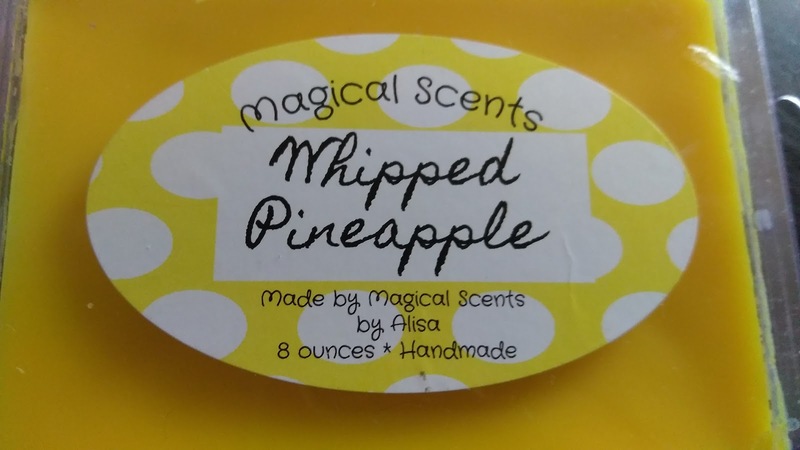 Kingdom Konsultant Travel Blog: Making Your Home Smell Like Your Disney "Home"
Making Your Home Smell Like Your Disney "Home"
This week I want to share with you my newest discovery/addiction... 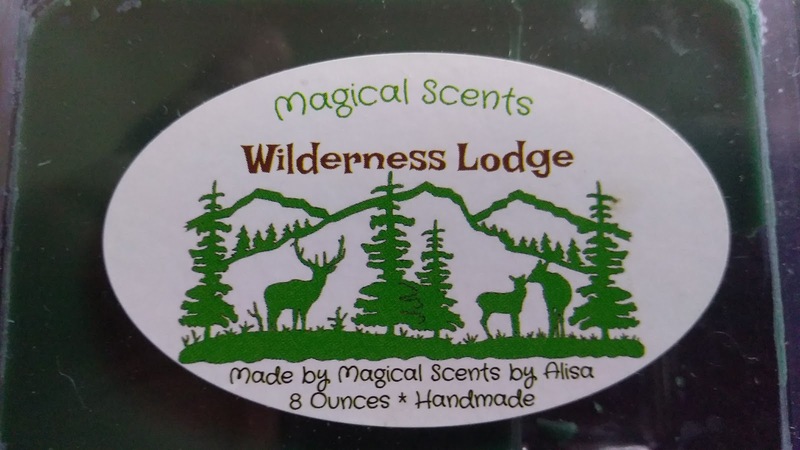 Magical Scents by Alisa. If you're like me, when you're away from Disney, you miss it to your core, and would do anything to feel like you are there in the parks having fun, or relaxing in your resort. Maybe you listen to Disney music, or look at Disney pictures and videos. You dream about enjoying a Dole Whip in Adventureland, or sinking your teeth into a churro. You might even whip up a favorite Disney recipe, so that you can enjoy the flavors of vacation for a moment. 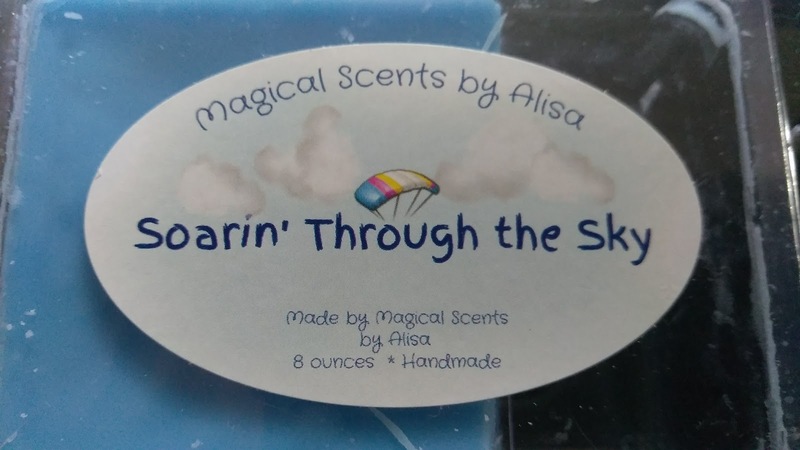 So why not engage ALL of your senses in Disney goodness, by making your home SMELL like your favorite Disney memories??? 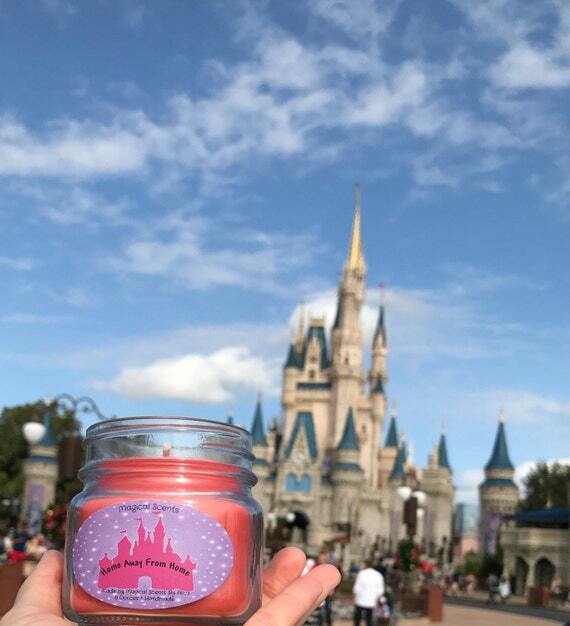 Well, many fellow Disney fans have thought that exact same thing, and as a result, several Etsy shops have started selling Disney-inspired candles, wax melts and more. I have tried a couple of them out in the past, and have found some hits and some misses, but this time, I think I really found a goody! Alisa has been on Etsy for almost a year now, and she is based out of Concord, New Hampshire. 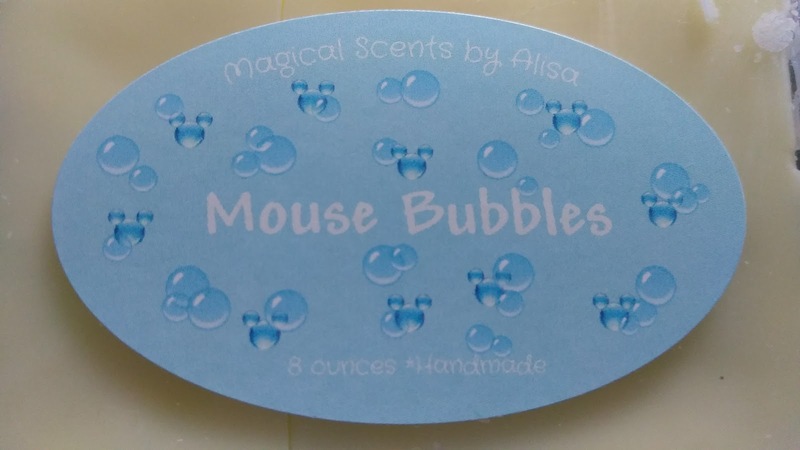 She is a true Disney fanatic, and has managed to capture 28 of your favorite Disney scents, and bring them to life in her candles and wax melts. She sells 8 oz. jarred candles, with lead-free wicks, for $12.50 each, as well as packs of 6 cubes of wax melts, for $4 per pack, (4 packs for $16). 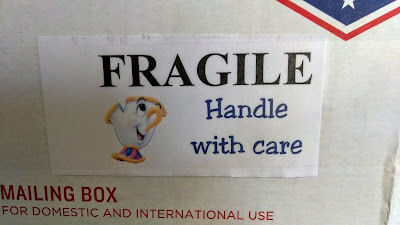 They all have cute labels and are packaged up quite nicely. 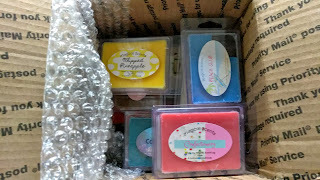 When I placed my order on Etsy, I had such a hard time choosing just a few scents that I ended up getting 12 packs of wax melts, so that I could try a whole bunch at one time! 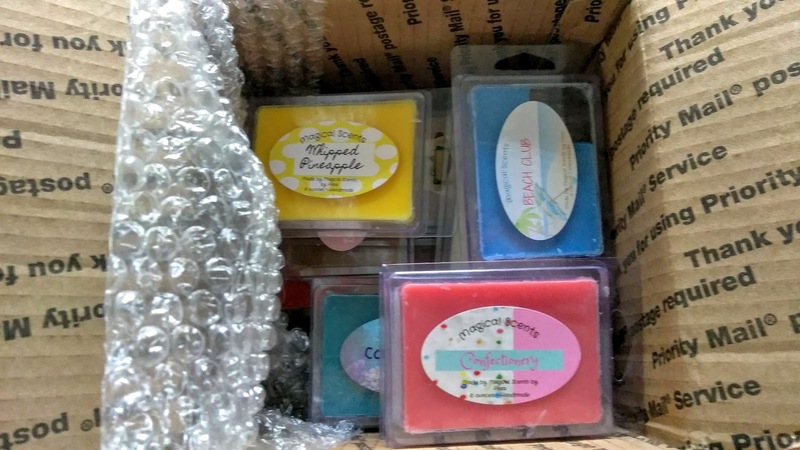 I was thrilled that my order came in less than a week, because I couldn't wait any longer to try them! Over the next few days, I put a tart warmer in my husband's office and one in mine, and I switched out the scents at least once a day, so that we could experience each scent and see how true to life they were. We had some great results! Alisa says this is inspired by both the Art of Animation Resort and The Seas attraction at Epcot. The scent is fresh and fruity. It made my office smell clean and tropical, with a touch of sweetness. 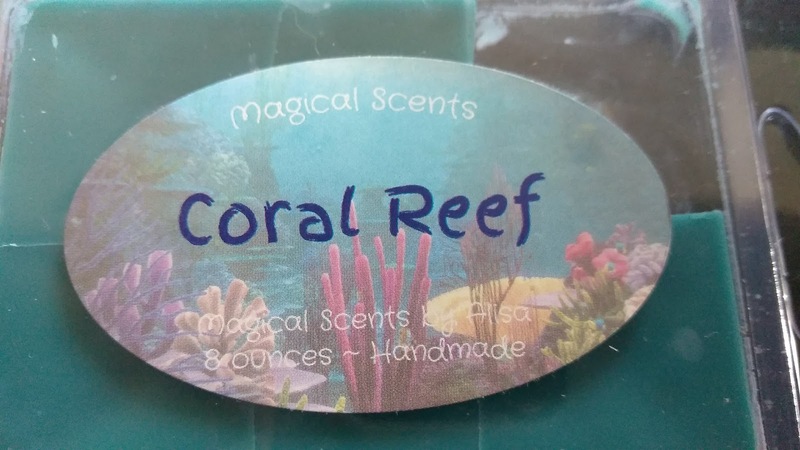 In the package, this one did have a similar oceanic, clean scent to the Beach Club Resort's lobby, but when I melted it, it became very powdery and lost it's marine elements. Still smelled fresh, but I'd say more like baby powder than anything. 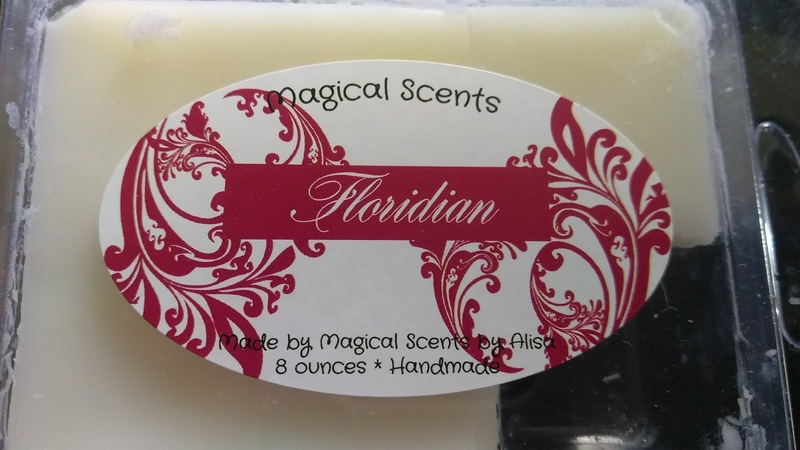 Now, this one is listed as the same scent profile as Beach Club, but to me, it smelled differently. This one was more soapy and reminded me a lot of the smell that comes from the Basin store, when you're in the lobby of the Grand. This one is dead on to how the attraction used to smell before they changed to Soarin' Around the World, and took away the orange groves. It's fresh and almost smells effervescent. I loved it! The Hubs really liked this one. Very manly and a little bit smokey. 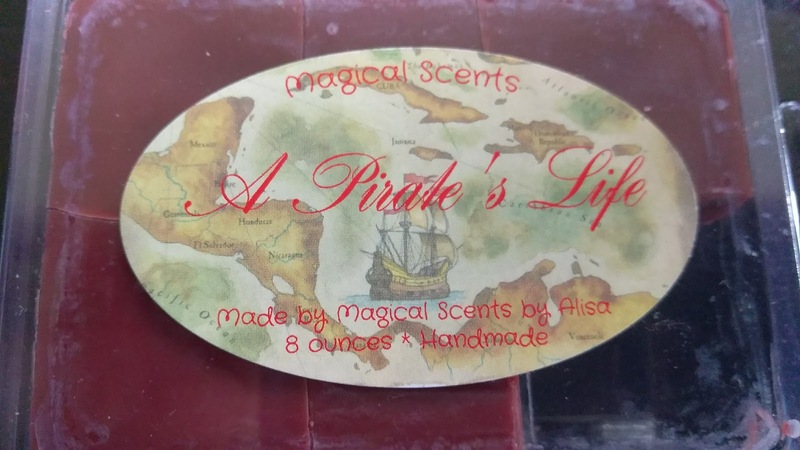 According to Alisa, she has since tweaked the scent and it now has cedarwood, vanilla and spiced rum. I guess I'll have to try the new one too! This one has a nice, strong chocolate scent, (which is tricky for the brain, since the color is bright pink). To me, to capture the Confectionery, it should have a strawberry and cotton candy scent. This one could be renamed "Goofy's Candy Company", because that's EXACTLY what it smells like. It's delightful, but it's not the Confectionery to me. Do you steal the little H2O soaps and shampoos from your resort too? Well, then you'll love this candle, which smells exactly like the Blushing Orange scented in-room amenities. Clean and vibrant, with notes of citrus. Smells like the famous Bananas Foster Bread Pudding from Ohana. Sweet and caramel-licious. This one will make you thirsty! 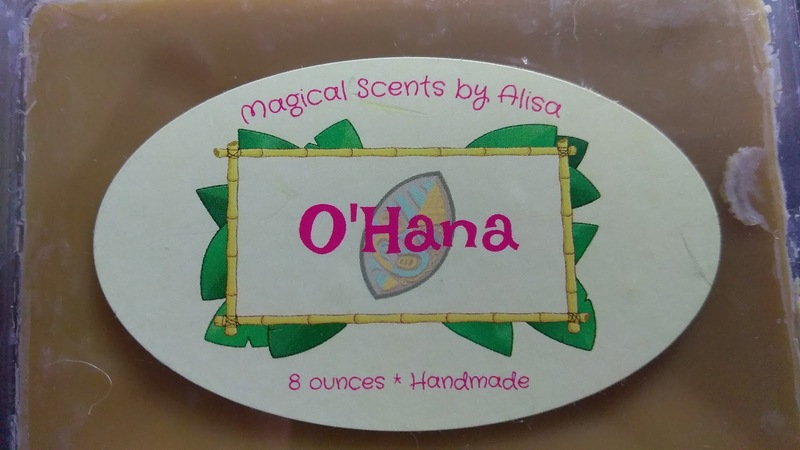 The sweet, fruity scent is exactly like a big cool glass of POG juice, (pineapple, orange, guava), served at Ohana and Boma for breakfast. 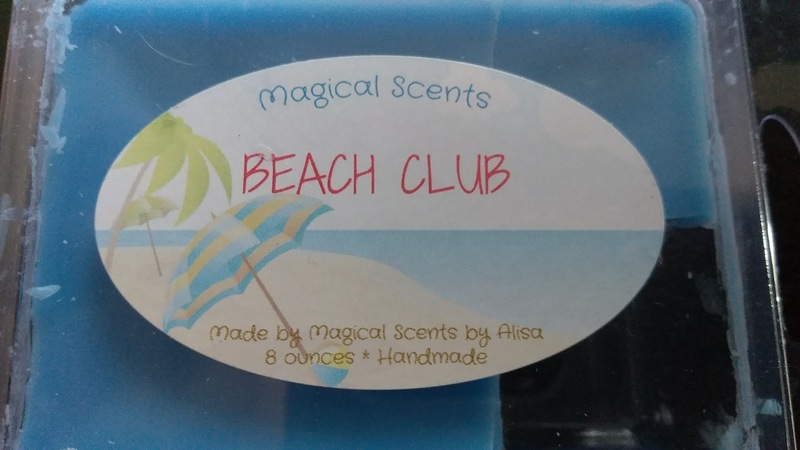 I don't know if this one was just kept too close to the Beach Club wax or what, but it smelled powdery and the woodsy smells, though I could smell them in the package, were pretty faint when the wax was melting. 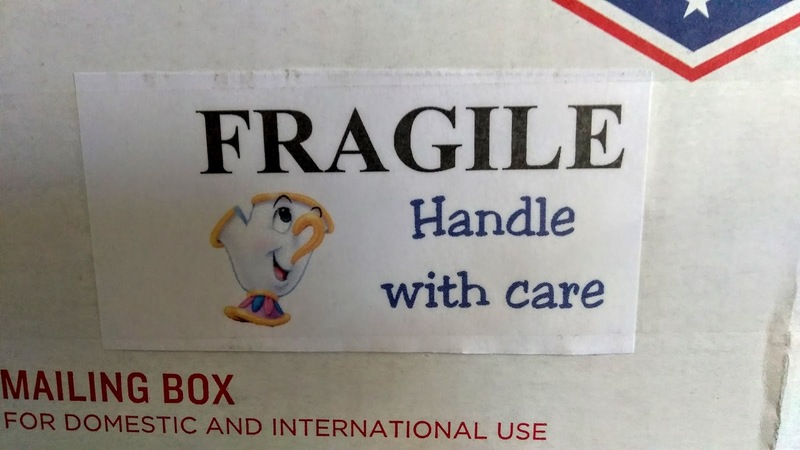 Not my favorite. This might be my favorite one so far. 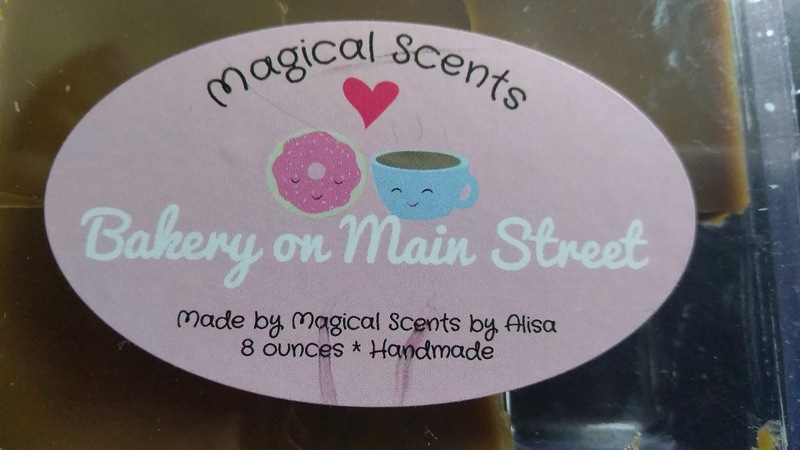 The scent is dead on to what Starbucks on Main Street smells like... rich and heavily scented with coffee, but with plenty of vanilla wafting in from the ice cream shop. SO good!!! And powerful! One cube made my whole first floor smell and we have really high ceilings! Straight up, pineapple Dole Whip. 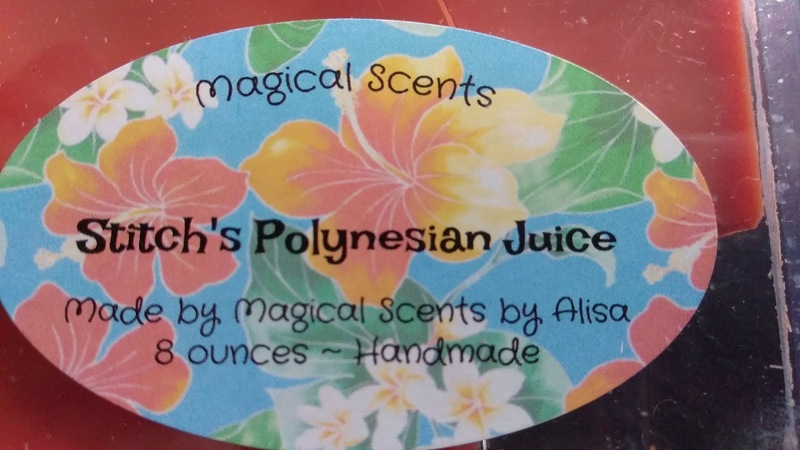 This scent is tropical, fruity, sweet and strong! I found pretty much all of the scents that I tried to be powerful and long-lasting, with one cube scenting an entire room for a whole day, sometimes even more. I am really happy with my purchase and will likely be trying the rest of the scents really soon! 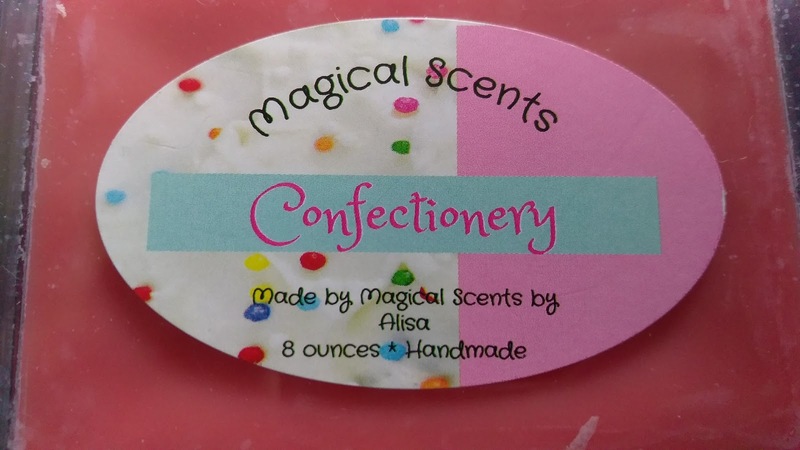 If you want to check Alisa's stuff out yourself, visit her Etsy shop, by clicking HERE. And if all of these Disney scents have got you longing for "home", why not plan your next trip now? The friendly agents at Kingdom Konsultant Travel would be happy to help you put a great-smelling trip together! Oh, and if you haven't already seen it, be on the lookout for my review of the opening of Epcot's International Flower and Garden Festival!!! I'll be checking out the booth menu items and peeping blossoms all day! Until then, have a magical one!